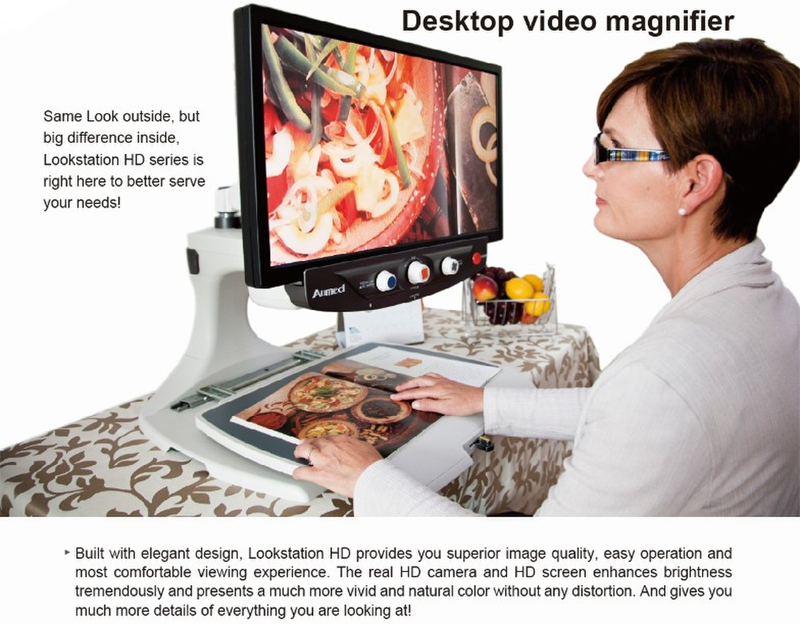 Select: LookStation HD - 22"
With HD camera, HD monitor and unique Aumed Anti-blus technology, wheather viewing photos, reading magazines or doing handicrafts, it just offer a crystal clear picture wiht vibrant colors and enhanced contrast. Three multifunctional tactile button design, Focus Lock enables you to keep an object or docuement in focus when reading or writing. The horizontal and vertical line marker and mask provides you a good reference point, helping you locate where you are reading easily. Ergonomic swivel arm design, easy to adjsut the monitor up and down, left and right. 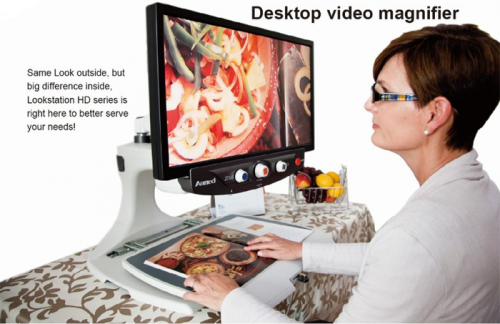 The easy-guide X-Y table offers a much smoother and quieter movement in all directions, the unique A3 size makes in accommotates the larges newspaper and magazines very easily and conveniently. Eric edge reading table provides confortable support for the hands and wrists. Sleek design and bilt-in power adapter for safe and easy operation.